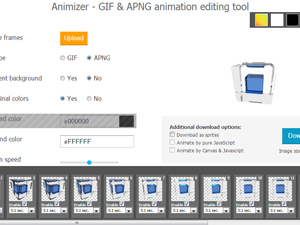 A tool that helps to operate with animated images. Create, split, animate static, animate text and much more. You can make your website from scratch or choose one of the templates and customize it the way you want it. Now anyone can create and manage a professional quality website with drag-and-drop simplicity. Getting a favicon has never been easier.